See all 748 properties in Siem Reap Intl. Situated near the airport, this spa resort is 0.2 mi (0.3 km) from National Road 6 and within 3 mi (5 km) of Cambodian Cultural Village and Angkor Night Market. 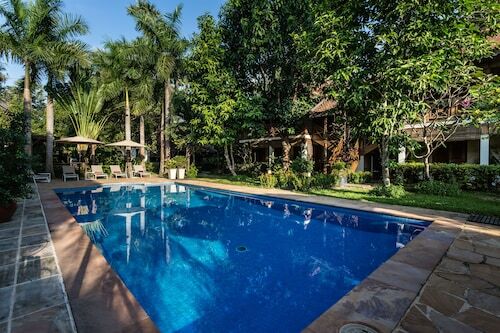 Angkor Golf Resort and Boxville Siem Reap are also within 2 mi (3 km). 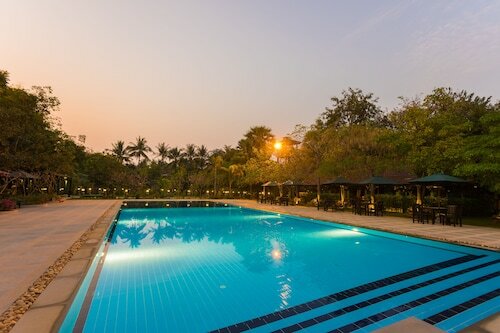 This family-friendly Siem Reap resort is located near the airport, within a 10-minute walk of National Road 6 and Cambodian Cultural Village. Pub Street and Royal Garden are also within 3 mi (5 km). 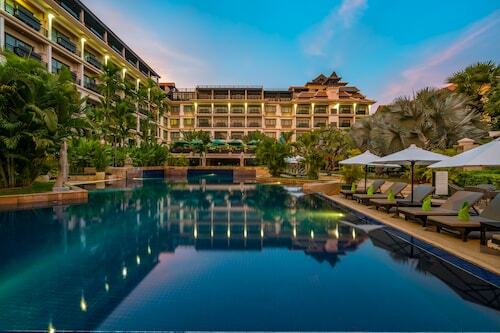 Located in the heart of Siem Reap, this spa hotel is within 6 mi (10 km) of Cambodian Cultural Village, Royal Garden, and Siem Reap Royal Residence. Angkor Night Market and Old Market Area are also within 6 mi (10 km). 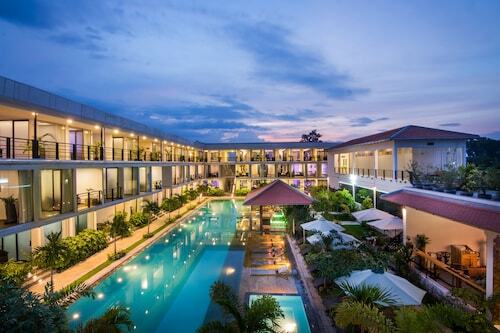 This family-friendly Siem Reap hotel is located near the airport, within a 10-minute walk of National Road 6 and Cambodian Cultural Village. Pub Street and Royal Garden are also within 3 mi (5 km). Situated in a rural location, this historic aparthotel is 0.2 mi (0.4 km) from National Road 6 and 1.4 mi (2.3 km) from Cambodian Cultural Village. Boxville Siem Reap and War Museum Cambodia are also within 2 mi (3 km). 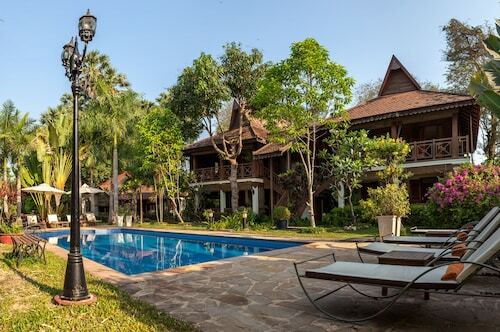 Located near the airport, this family-friendly hotel is within 6 mi (10 km) of Royal Garden, Siem Reap Royal Residence, and Angkor Night Market. Old Market Area and Pub Street are also within 6 mi (10 km). Situated in a rural location, this historic vacation home is 0.2 mi (0.4 km) from National Road 6 and 1.4 mi (2.3 km) from Cambodian Cultural Village. Boxville Siem Reap and War Museum Cambodia are also within 2 mi (3 km). This family-friendly Siem Reap property is located in a rural location, within 2 mi (3 km) of National Road 6 and Cambodian Cultural Village. 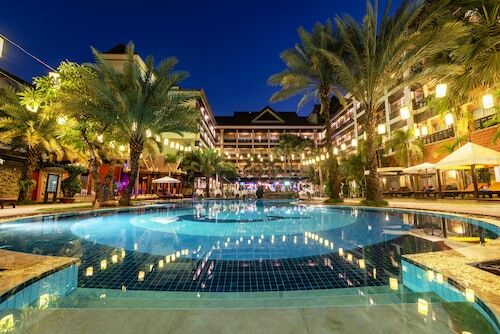 Boxville Siem Reap and Angkor Golf Resort are also within 2 mi (3 km).